Both teams defend two cones and attack two cones. knock a cone over with the ball to score. Pass through the thirds to your colour. 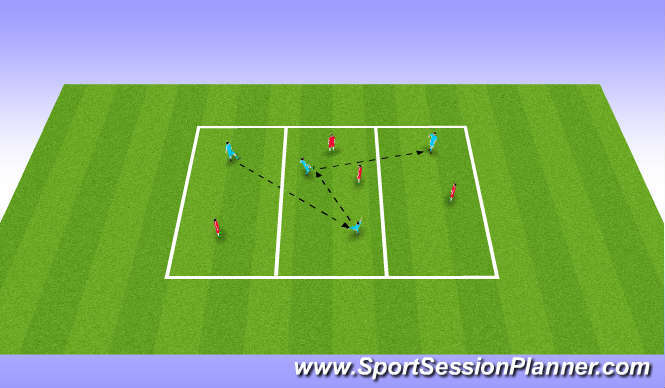 pass through thirds pass to your team mate in middle third. 2v2 in middle third pass through and bamck to score a point. Quality and weight of pass control,head up. 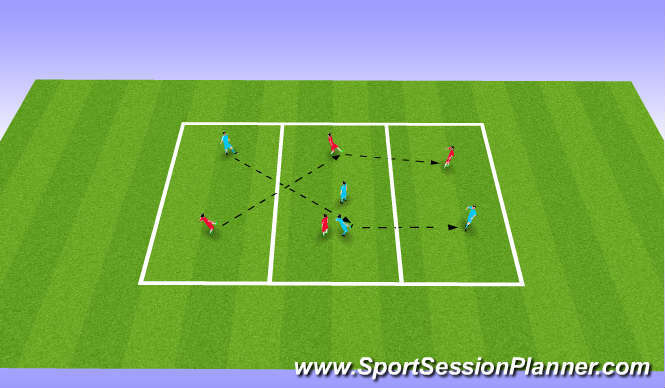 movement can the players get into position to recive the ball, side on in middle. ABC agility, balance,co-ordination, short sharp bursts. Can you retain self control in competitive game. 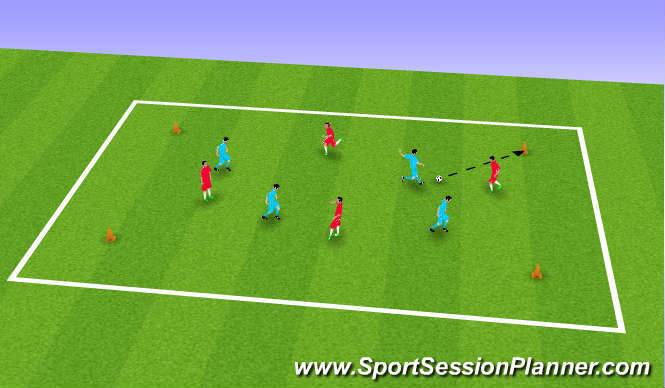 Sessionsession went well players responded after a slow start.